He went to audition for a small part in a film and ended up playing the lead role. Though Moin Khan made his debut a couple of years back in a film produced by Rajshri Productions, his new film ‘The Lift Boy’ has brought him in the limelight. 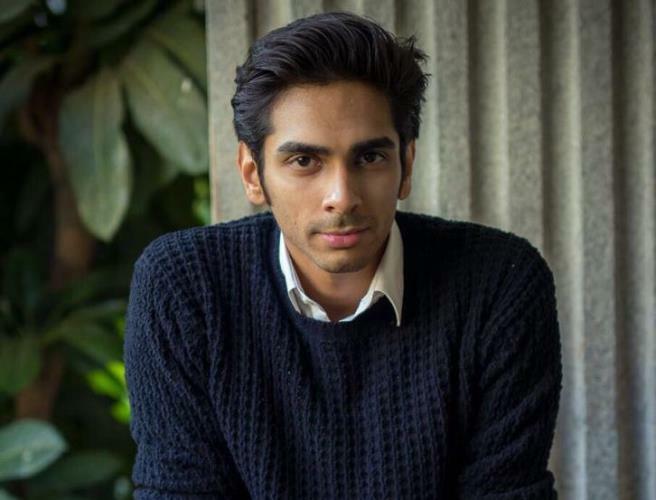 In this interview, he shares a rather amusing story about how he got cast in the film, harbouring the dream to become an actor after watching a play in school and why it was important for the film to release in theatres. How did ‘The Lift Boy’ happen? Did director Jonathan Augustin approach you with the script? No, I was working as a casting assistant and the film was nowhere in sight. I was supposed to do this job for at least six months but I got fired in a month. The job required me to work for extremely long hours and stay up till late in the night. I did not dislike the job but there were times when I would miss acting a lot and wondered why I was working as a casting associate. I would see so many actors coming for auditions and I would wish to be in their place. I made a friend while doing that job and she told me that she was auditioning for this film called ‘The Lift Boy’. She sent me the casting director’s number. I went to audition for a small character which eventually got cut off from the script. Fortunately, my director ended up being in the office when I went to audition for the part. He saw my audition and asked me to come back and audition for the role of the main protagonist Raju. After that, everything just fell into place. I was born and brought up in Dubai. I used to visit India but on short visits. When I was in school, I happened to watch this play called ‘The Hunchback Of Notre-Dame’. I felt like this was such a beautiful medium to be a part of. A few years later, we shifted to Mumbai. I was in ninth standard and told my mom that I wanted to become an actor. She has always been supportive of my decisions. I started auditioning a lot. In 2009, I got a film called ‘Isi Life Mein…!’, which was produced by Rajshri Productions. The film released in 2010. Though it was a small part, I was really happy to be a part of the film. My mom was happy that I got some sort of a start in the industry. I had not seen many films by then. I started educating myself by watching four to five films every day. I used to maintain a diary where I would write the names of the films and the directors. Three years back, I decided to pursue acting seriously. Initially, I did a bunch of ads. I worked as a casting associate hoping that it would help me make inroads in the industry and understand how things work here. Then, ‘The Lift Boy’ happened. It is usually difficult to release independent films. Did the team face any challenges while trying to bring ‘The Lift Boy’ to the audience? Yes, making and releasing an independent film are equally difficult. We were working around a very stringent budget. As actors, we had to make sure that we were well-rehearsed with the lines. We were extremely well-prepared before the film went on the floors. We could not afford wasting a minute on the sets as we were working with a lot of restrictions. We had to give our best. I got to learn so much while working on the film. It was a challenging but beautiful experience. A lot of people, including Anand Mahindra, wrote about the film on social media. Most of us did not know a lot of people from the industry. It was extremely gracious of Mr Anand Mahindra to tweet about our film. A lot of people like Akshay Oberoi, Ali Fazal also tweeted about it. I would also like to mention the names of two gentlemen who contributed a lot to this film. Mr Mehboob Khan who is the owner of this famous restaurant called Carters’ Blue. He has known me for a while as I visit his restaurant quite frequently. He came to know that I was doing this film and wanted to support the film in some way. Every day, he would send food for us from his restaurant. He was very generous. Arjun Kandhari from B Kandhari Group supported our film in a big way as well. Did the team contemplate releasing a small, niche film like this on a digital streaming platform? No, Jonathan was always very sure about releasing the film in theatres. Watching a film in a theatre is an altogether different experience. You cannot compare it to anything else. We got a limited release but it got a good response from those who watched it. We are happy that the film released in theatres first. The team is in talks with a few OTT platforms and the film will also release on one of them very soon. I think the digital space is booming right now and given an opportunity, I would love to do a web series. I am in talks for a few projects but have not signed anything yet.